There are almost 11,000 active Certificate of Recognition (COR) and Small Employer Certificate of Recognition (SECOR) holders in Alberta, almost half of which were achieved through the ACSA. Improving the overall efficiency at your work site. 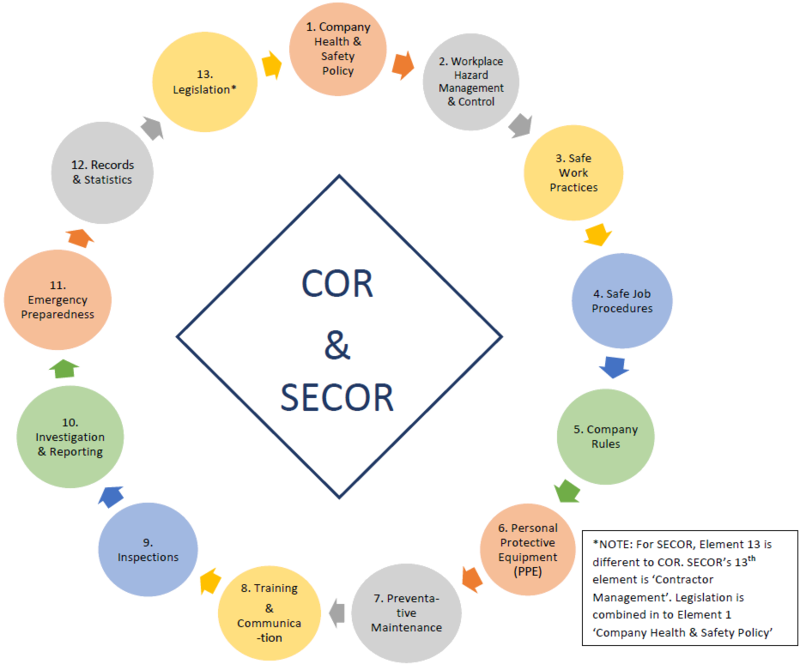 Maintaining a COR / SECOR ensures the ongoing review of an employer’s Health and Safety Management System so that gaps can be identified and corrected. It also provides employers with an Alberta Government-issued certificate, recognizing their efforts in maintaining a healthy and safe workplace. And, of course, COR / SECOR qualifies employers for WCB premium refunds of up to 20 per cent! 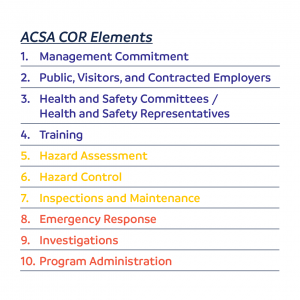 A qualifying condition for both COR and SECOR is that your company is a member or associate member of the ACSA. To qualify for the SECOR program your company cannot have more than 10 employees at any given time. Included in this number are all staff covered under your WCB account (for example this includes owners, managers, clerical or administrative staff, part-time workers, temporary staff, family members and volunteers.) ACSA cannot accept an application for SECOR for employers with more than 10 employees. For COR, any company with more than 1 employee can apply, however we advise that if you have less than 10 employees, that you apply for SECOR instead. 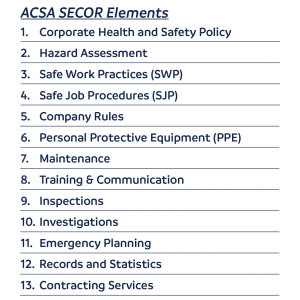 SECOR is customized for smaller companies and will provide more suitable pathways to developing and maintaining your health and safety program. See our SECOR Process and COR Process pages for further details. Still have some questions? Hopefully our Frequently Asked Questions document can help answer some of them for you. This document provides helpful answers and guidelines for the COR / SECOR process, including information on PIR rebates; fixing the date of your COR / SECOR expiry; amending an existing COR / SECOR and more. Please also visit our COR Process and SECOR Process pages for further information. Another great resource is the Alberta Labour website. Also, you can receive automatic updates about this and other topics that might affect you by subscribing to our monthly e-mail information service or by following us on social media. Fill out our online form and receive the latest information via email. The Certificate of Recognition (COR) trademark is owned by the Alberta Construction Safety Association.